I’m Blending: The Beans a photo by Lameen on Flickr. I’m blending, yipee ! But what exactly does that mean ? In summary, it means that I’ve got my experimental hat on again. Having changed my coffee bean roaster at my caffe, Escape Caffe, I’ve started sourcing beans from another roaster but this time I’m sourcing single estate coffees from different regions of the World. I’m experimenting because part of my character loves change and getting to understand things from the bottom right up. Have I lost you ? 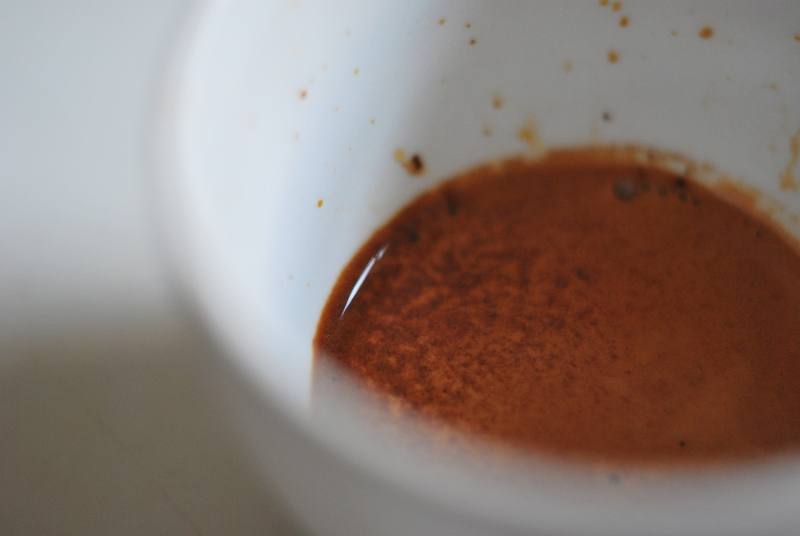 It means that I want to understand what makes a good espresso blend. So, I’ve been trying to build up on my basic knowledge of taste profiles. 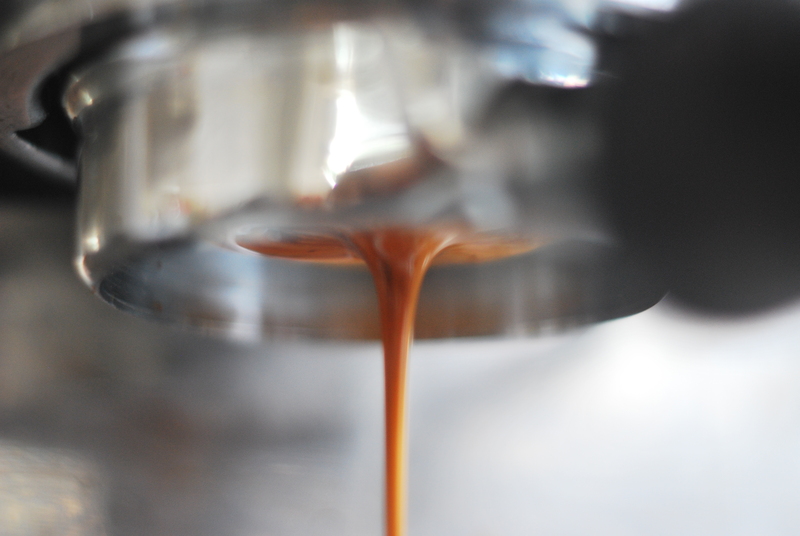 One of your main goals in blending should always be to get a BALANCE, as you don’t want one coffee taste to dominate. In principle, very high quality or distinctive coffees (lots of black fruit juiciness, acidity and boldness/heaviness) are seldom used in blending for espresso. WHY ? Because they will dominate the blend. Think of it like making a soup/stew – if you cook – you don’t want to put lots of chillies in with subtle tastes like basil, as you will kill the basil taste with hot and fiery chilli. This is one reason why you won’t see Kenyan coffees in espresso blends. I can’t imagine blackberries tasting sweet if exposed to a harsh preparation process. OK! what do we mean by BODY in the case of Brazilian arabica coffees ? We mean body as in the density of the liquid. IOf you taste/drink lots of good coffee, then you will know that some coffees taste light. Sure, they are both liquids, but orange juice does not have the same texture/body as apple juice. Now, ACIDITY. I’ve spoken at this at great length before, so won’t go in to it too much, but in summary, it’s detected by the sharpness in taste when you drink coffee, resonate of citrus fruit. So, when you blend, although essential to round off the taste around your tongue, you don’t want it to dominate either, if not it could confuse your tongue with sourness. After all, orange juice and mlik (think of a cappuccino) don’t look nor taste nice together. Personally, I’m not in favour of medium to high acidity in espresso based drinks. Finally, SWEETNESS. Very essential for coffee and to dispel the misconception that coffee is only sweet when you add sugar. However, by sweetness, we don’t mean sugary sweet, but more like natural sweetness, such as the type found predominantly in honey and sometimes elevated in dried fruit like dates, raisins and figs. So, what are you looking for ? As the coffee roasters rule – and yes they do, as they control what you taste and more often than not, they roast the way they like coffee to taste – you are looking for a coffee that has a nut like character, with a hint of chocolate (and sometimes cocoa, because most people love the cocoa family) with natural sweetness wrapped around your tongue, well balanced and with medium acidity and a lingering finish. Wow ! what a mouthfull, quite literally. For nuts, think almonds, hazelnuts and macadamia (if you are lucky) and more specifically BRASIL. For hints of cocoa, toffee, subtle citrus fruitiness, think Central America, like COSTA RICA, GUATEMALA. 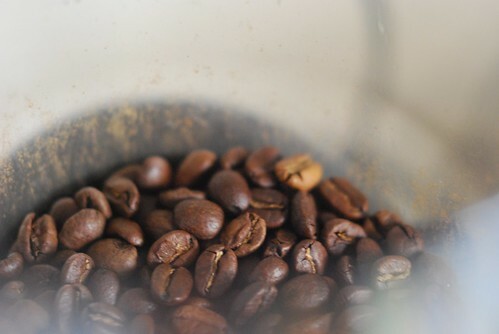 For honey like sweetness and sometimes hints of red berries think ETHIOPIA. If you favour spices like vanilla (hard to get), cinnamon, etc then in general look to the East like INDONESIA, INDIA, PAPUA NEW GUINEA. BUT, of course, coffee is a lot more complicated than this, so sometimes the basic rules above can be broken by sourcing coffee from a very high quality single estate farm, roasted by a very experienced cupping and roasting master. I also don’t want to get into the wet-processed and naturally dried process of coffee as these too affect tastes and how you blend, but in general, a lot of top roasters seems to be ignoring naturally dried coffee when blending. Some also use just Central American coffees in their espresso blends. Personally, my ideal espresso would have hints of almonds, vanilla, caramel, buttery toffee, dried figs, medium to low acidity, balance, smoothness and lingering taste. Fussy ? Yes I am. I sometimes get this from drinking Square Mile Coffee Espresso blends and just this morning from Verve Coffee Roasters (my next post God willing). So what did I experiment with ? First up I used a Brasilian for body, a Malawian for bursting chocolate and a Cup of Excellence Guatemalan for acidity, sweetness and for balance. The result, a bit mellow, easy to drink and favoured by most. And so for my next experiment……. This entry was posted on Saturday, October 15th, 2011 at 12:00 pm	and tagged with Blending, Coffee Roasters and posted in Bean Talk - Coffees, Coffee Recipes, Thoughts. You can follow any responses to this entry through the RSS 2.0 feed.